This is a project concerning “Drawing”. 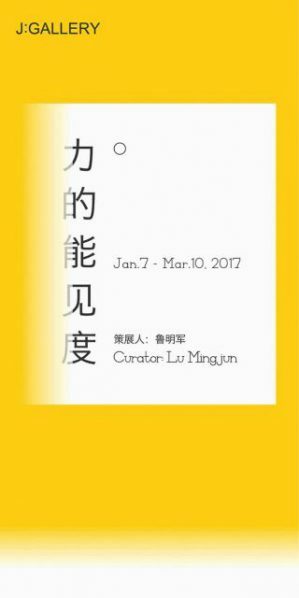 The project is constituted by two parts (or two exhibitions): one is On Drawing: Visibility of Power, the other is the group show On Drawing: Apperceive of Liberation, opened 13th December 2016 at Wuhan Art Museum. In the exhibition On Drawing: Apperceive of Liberation, the exhibited works do not necessarily possess common elements of “Drawing”; in fact, the gaze, the body and imagination of the artists constitute a kind of “Drawing”. What I have been interested with is that as a medium of perception (or way of “Drawing”), how “skin” can straight forwardly represents contemporary social life and its cultural agency. Or we can rather interpret it as a “new” form of Pop Art. It is not my intention to offer too many complicated thoughts in this exhibition, it is even not necessary for the be holders to stay in front of a work too long; it is rather an exhibition that contras exhibition guide. The two exhibitions share a common ground: that Visibility of Power does not derived from a strict definition or our general experience of “drawing”, but to look back to “drawing” as an essence, or the point of genesis of art, to re-observe and re-discuss its contemporary operative system, i.e. the intrinsic motivation, impetus and relations, disorder, etc. ; for example, reciprocal gravitation and balance, including tension, combat, and finally a possible separation and disorder. For this part I especially choose 13 invisible, more “abstract” cases of “Drawing”. If the Apperceive of Liberation fabricates a “plane of culture”, Visibility of Power then attempts to search for a “line ofperception” that goes deep into the mechanism of the physics (i.e. objects (物) and logos(理) of human perception and imagination; at the end that could be a line, a grid, or a crystal complex. Albeit some of the works onshow are not visually abstract, what the exhibition seeks to test, to consider, or intends to awaken, is their internal abstract power. The key issue is that this self-reflective intrinsic power activates simultaneously the realistic organisms that have been thoroughly abstracted. The media or the topics artists choose to engage with become subsidiary, however, it does not mean that the power of abstraction is universal or homogeneous; here the “Drawing” differs from the logic of its power. Apart from various forms of artworks, the intellectual strata of the exhibition are represented in its rich, yet invisible perceptional dimensions. The so-called “visibility” is a symptom of individual awareness, sensation and mind, at the same time it could lead towards some kind of social resistance or reaction.The word “power” and “visibility” in fact are keywords that frequently appear in discourses on contemporary Chinese politics, society, culture and ideology. Through this new syntax of space or time, this exhibition seeks to reinvestigate a new form of political poetics. When we venture to partially extract different active power agencies, the process very much resembles that of “Apperceive of Liberation”, which similarly relies on the astute perception and apprehension of the artist. Contemplation and analysis are inevitably there, but text and opinions are not the prerequisite or focus of the parole. Hence this demonstrates again the connection between these two exhibitions, or rather, they constitute the binary aspects of one single exhibition. Courtesy of the artists and J: Galllery.